Anzac Day 2016 is fast approaching, and you may not have a new idea for its celebration. Below we will discuss some of the ways in which you can make the holiday a true day of celebration by taking inspiration from the reason for the holiday as well as the traditional ways in which it is celebrated. – What Is Anzac Day Really All About? In 1915, soldiers from the Australian and New Zealand Army Corps armies gathered together in defense of Gallipoli, Turkey in World War I. It was the first battle that either of these armies had fought. The battle was fought in defense of and in solidarity with the interests of the United Kingdom and the Allies. Many Australians of that time considered the United Kingdom their motherland, and they were quite happy to fight the good fight that day in order to ensure passage for the Allied navies. The date was 25 April 1915. The so called “Knights of Gallipoli” were able to secure the mission even though most of them were not trained soldiers. As a matter of fact, most of the fighters in the battle were volunteers. However, these Anzacs have always been commemorated because of the gallantry that they showed in battle. They were immediately met with gunfire even though they came into Turkey under the cover of night. They finally forced a stalemate, and they held their ground until the Allied armies called for a full evacuation. Eight thousand of the Anzacs lost their lives in the eight months that the army stayed in Gallipoli. 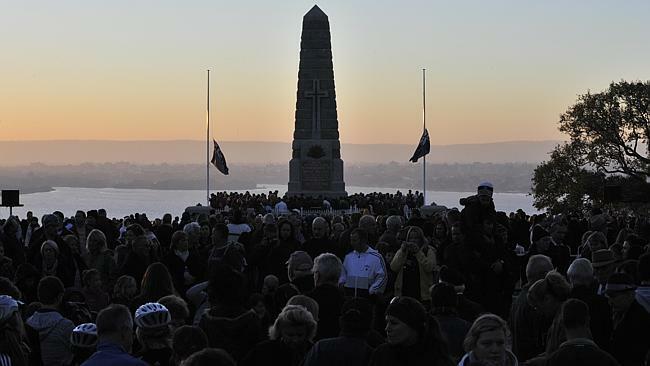 The official establishment of the Anzac Day holiday was to commemorate the qualities that Australians established during their stand at Gallipoli. The camaraderie, the skill and the bravery that the soldiers showed are now qualities that the entire nation has embraced into its culture. – What Are Some Of The Traditional Ways To Celebrate Anzac Day? There are many different ways in which people in Australia and New Zealand celebrate the Knights of Gallipoli. The most prevalent celebration is probably the Dawn Service. This celebration is meant to commemorate and imitate the military routines of World War I, most specifically the routine that was known as the “stand to.” The first service of this type was relegated only to veterans and was done in complete silence. The Last Post is the unofficial song of Anzac Day. It is a song that is usually played over a bugle in order to signify the end of the day at the end of a military excursion. When it was played during World War I, soldiers were allowed to take their rest. In celebration, the melody is played in order to suggest the last post of the soldiers as a metaphor for death. – How Can You Add To Your Current Celebration For Anzac Day 2016? Many of the early celebrations that were done in conjunction with Anzac Day were quiet and very solemn. In recent times, the party atmosphere has been ratcheted up to include football games, fireworks and many other traditional forms of celebration. Because it is now culturally accepted to view Anzac Day as a true holiday of rest and relaxation, you may be able to add more of a party atmosphere to your next celebration if you so choose. Anzac Day is one of the best days to bring together different generations of family for a time of reflection. Because there are no federal implements taking place throughout the state, no one has any official responsibilities on Anzac Day. The best thing to do is to take advantage of this time with family. Next story What Is Digital Transaction Management (DTM)?